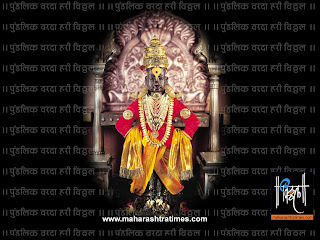 Over one lakh Warkaris chanting ''Jai Hari Vitthal'' and ''Gyanba Tukaram'' started the 21-day annual Ashadhi Ekadashi pilgrimage to Pandharpur from Sant Tukaram Devasthan in Dehugaon as part of Tukaram Maharaj's Palkhi procession via Alandi to Vithoba Pilgrimage Pandarpur. The local villagers drew rangolis in front of their houses to welcome the Palkhi, which has become an inseperable part of Maharashtra's culture. A sea of Warkaris holding Patakas (Saffron flags) and Tulsi saplings converged in the temple premises amidst chants of ''Gyanba Tukaram''. They were playing veenas, mridangas, dholkees, chipalyas and tashas. A group of Warkaris is called a Dindi. 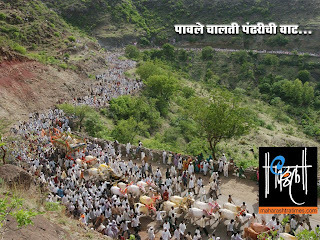 Dindis come from across the state, majority of them from Marathwada, to Dehu for the procession. 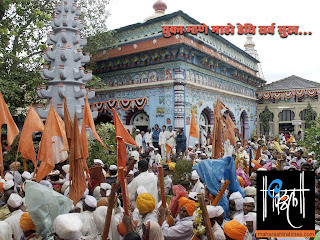 As the palkhi moved from Dehu, the atmosphere was filled with devotion. The pilgrims played phugdi. The Maha Puja is performed by a devotee who enters the temple first and this time the honour went to Pandurang Bua. 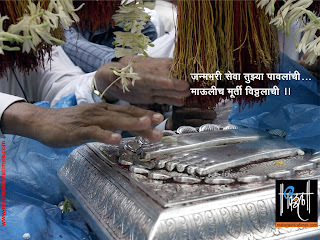 Cheif Minister of Maharastra performs Puja on Ashadhi Ekadashi.